When Miles Lamoni Burns settled in Utah with Latter-day Saint pioneers back in the 1850s, there was no such thing as a crystal ball to predict the future. But if there were, no doubt Mr. Burns would beam with pride at the craftsmanship of his future generations. 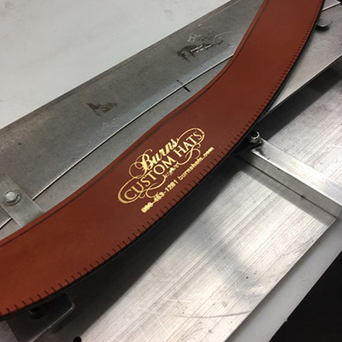 Burns Saddlery had their humble beginnings as harness makers and blacksmiths. Fast forward six generations and the Salina, Utah based company now has 50 employees; retail stores in Park City, Utah and Carmel, California; as well as a booming internet presence. As times changed, so has the business, expanding into saddles, custom silver, handmade hats, and footwear. Over the last five years, the company has transitioned back to its roots. They have expanded their saddle shop where they have around 200 orders awaiting fulfillment. The saddles are proudly handcrafted in Salina, but they only stay in the shop a day or two before being photographed for online purposes and shipped to the customer. “Our head saddle maker started with us when he was 16. 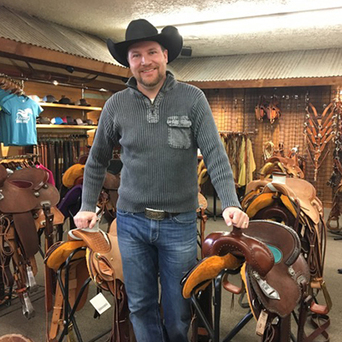 He’s now in his early 30s and running the entire saddle shop and winning accolades in the industry,” says Braydan Shaw, president of the company. Braydan Shaw, president of Burns Saddlery. The company provides jobs for young people looking for a creative outlet. “Our biggest export is young people, and we provide them with rewarding jobs while maintaining a small-town lifestyle,” says Shaw. The company specializes in custom hats. “The business operates in a campus environment. The saddle shop is located next to the silver shop, across from the hat shop and adjacent to the custom boot shop. This atmosphere leads to collaboration, where we have 40-year veterans teaching young apprentices the trade in a non-threatening way,” notes Shaw. 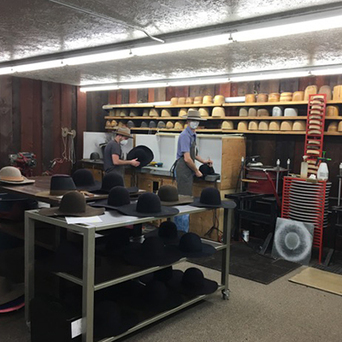 Burns Saddlery recently received a Rural Fast Track Grant from the Governor’s Office of Economic Development, helping to expand the business while providing new jobs in the manufacturing sector in a small rural town. The grant provided them with funds to purchase equipment and train six new craftspeople. “There’s a lot of attention and love that goes into our products, and our clients appreciate that,” Shaw says.